We all know that moving to a new location is a troublesome task and a big challenge. But moving can also be easy and stress free, if we can Plan before and rely on reliable and professional movers. Right Choice Movers is a professional moving company providing stress free moving services – House Removals, Office removals and furniture removals in Auckland. We are specialized in providing man and van, two men and truck hire for furniture removals in Auckland. 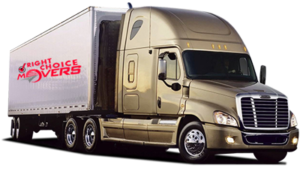 We have experts and professional removalists at Right Choice movers Auckland. All our trucks are clean and well maintained, equipped with packing supplies and moving equipment such as trolleys, blankets and straps that is required to move your heavy furniture safely. So you don’t have to bother of safety or any damages to the furniture. You can just relax because our movers can take care of the entire moving process and make your move safe and successful. Call us today at +64 0220334410 for stress free moving.